Allows collection of anesthetic waste gases from CO2 absorber and channels them through a 19mm port for evacuation. Patient circuit pressure is adjusted by rotating the control knob � 2-1/2 turns adjusts the valve from fully open to fully closed. 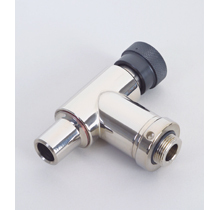 For use with scavenging interface valves equipped with a standard 19mm bag hanger.